Matador Lenny Daniel (center) wrestles for the ball against 49ers Eugene Phelps (left) and Casper Ware. Daniel scored 18 points in the Matadors' loss to Long Beach State on Wednesday night at the Walter Pyramid. Photo Credit: Monique Muñiz/ Sports Editor. LONG BEACH, Calif — It’s never a good sign when players start questioning the head coach’s system. With four 49ers scoring 15 points or more, Cal State Northridge struggled defensively against Long Beach State’s talented starting five, losing 85-71 Wednesday night at the Walter Pyramid in Big West play. 49er Casper Ware scored a career-high 23 points and converted on five 3-pointers against the Matadors’ (4-10, 1-2 Big West) zone defense. Matador senior Dathan Lyles disagreed with head coach Bobby Braswell’s decision to play zone. “I feel like personally (playing) man-to-man I don’t think they wouldn’t have (scored) as much. We played zone and they capitalized and they hit their wide open shots,” Lyles said. 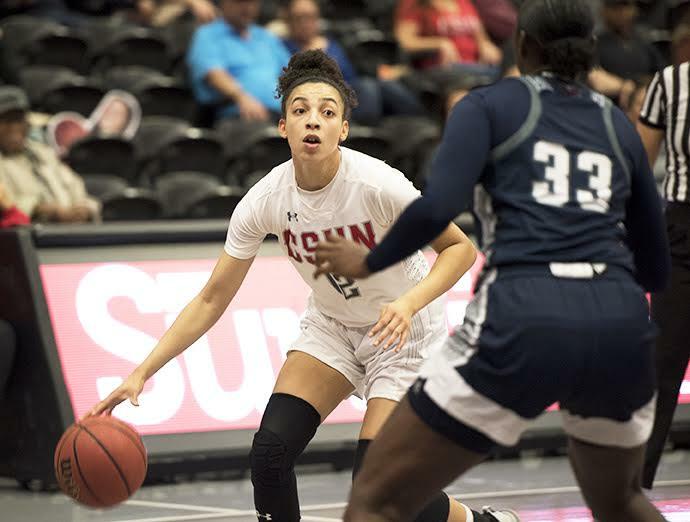 Even though CSUN played zone for most of the game, the 49ers (8-8, 3-0) had no problems getting to the basket as they outscored the Matadors 50-36 in points in the paint. 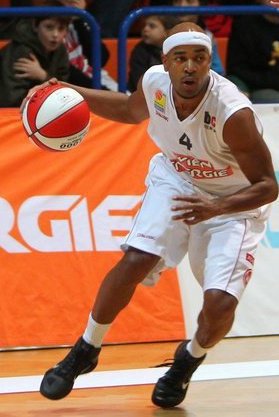 Larry Anderson, who played in his third game back from a left hand injury, scored 19 points for Long Beach. Eugene Phelps and TJ Robinson outmuscled the thinner Matador defenders as they scored 18 points and 15 points apiece. 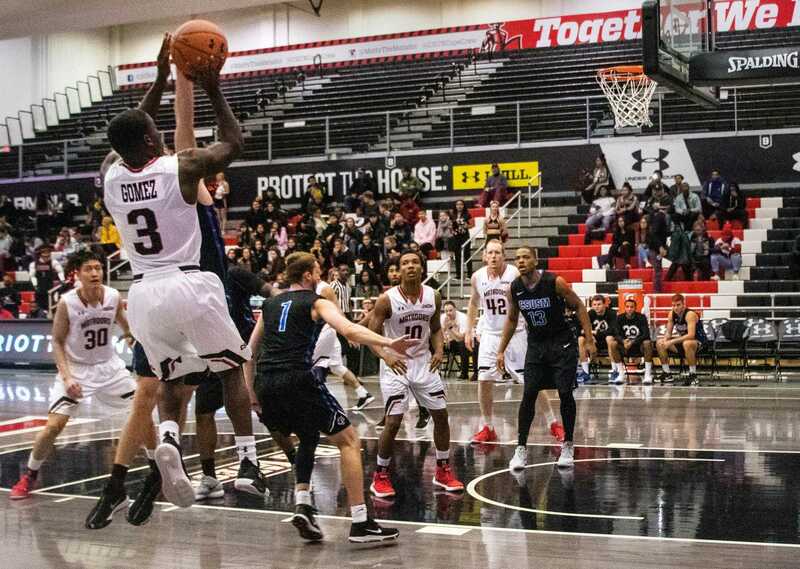 CSUN forward Lenny Daniel said the 49ers were more successful on offense due to their head coach Dan Monson letting them play with free will. Braswell didn’t agree with his players questioning the game plan against the 49ers. Northridge opened the game with a 26-22 lead, before falling apart on a Long Beach 19-4 run. 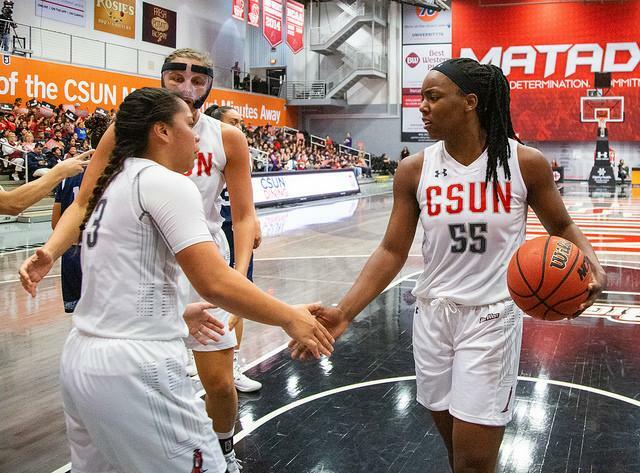 CSUN went into halftime down 45-35 and started the second half sluggish, which led to the 49ers increasing their lead to 19 points. Long Beach State didn’t need much help from its bench as all five starters played 30-plus minutes and only had two players come off the bench. As usual for CSUN, Daniel and Rashaun McLemore, who scored a team-high 20 points, didn’t get many contributions from the team on offense. Daniel and McLemore combined for 38 of Northridge’s 71 points. Freshman Josh Greene said the reason for why the Matadors have lost four of its last five games is playing with a lack of toughness.